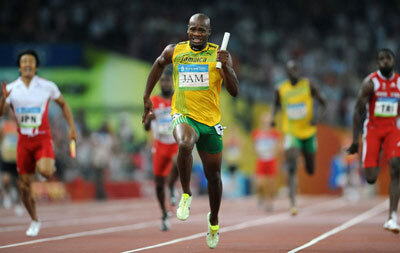 Jamaica set a new world record or 37.10 seconds in the men’s 4×100 meters relay at the Beijing Olympics. Trinidad and Tobago captured silver, while Japan took the bronze. Asafa Powell anchored for Jamaica, getting a deserved gold after his failure to get a medal with his compatriot Usain Bolt in the 100 meters.